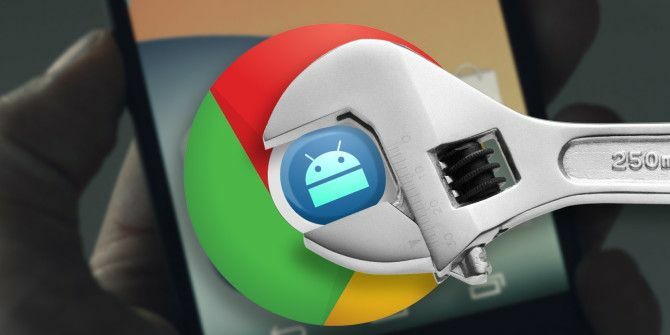 There are plenty of ways your browser can compromise your privacy This Is How Your Browser Compromises Your Privacy This Is How Your Browser Compromises Your Privacy Your web browser reveals a ton of information about who you are, where you go, and what you like. Here are the details it leaks whenever you go online. Read More , but there are a few precautions you can take when using popular mobile browsers on the go. 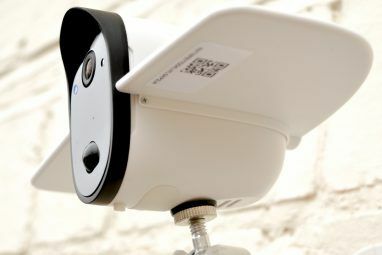 While none of these precautions are completely foolproof, they do offer a little more control over how sites track you and what information is saved on your phone. Prevent cross-site tracking: This will prevent sites from tracking where you go and what you look at when go to other site. Block all cookies: Cookies What's A Cookie & What Does It Have To Do With My Privacy? 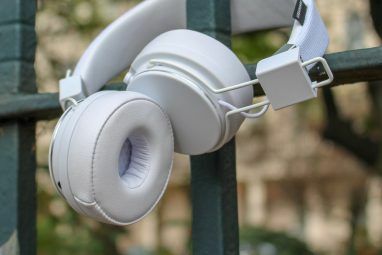 [MakeUseOf Explains] What's A Cookie & What Does It Have To Do With My Privacy? [MakeUseOf Explains] Most people know that there are cookies scattered all over the Internet, ready and willing to be eaten up by whoever can find them first. Wait, what? That can’t be right. Yes, there are cookies... Read More are created when you visit a site and can be helpful when loading sites you frequently visit. 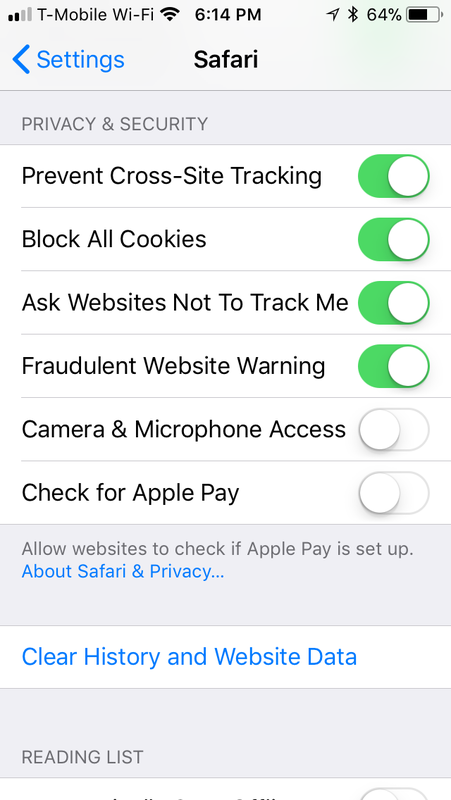 If you prefer, Safari allows you to block cookies completely. Ask websites not to track me: This lets sites know you don’t want to be tracked across the internet. In reality however, sites are free to decide if they want to respect your do not track request Does "Do Not Track" Protect Your Privacy? Does "Do Not Track" Protect Your Privacy? Does enabling "Do Not Track" in your browser really protect your privacy? Do websites respect your wishes, or does it simply provide a false sense of security? Let's find out... Read More . Fraudulent website warning: With this feature enabled, Safari will let you know if the site you’re visiting is known for phishing scams. 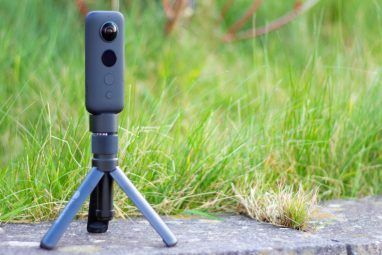 Camera & microphone access: Keep this setting turned off if you don’t want to automatically grant any web apps access to your camera and mic. Check for Apple Pay: Keep this setting turned off if you don’t want to use Touch ID or Face ID for browser purchases when using Safari. If you don’t want Safari to save your history on your phone, you’ll need to browse in private mode. 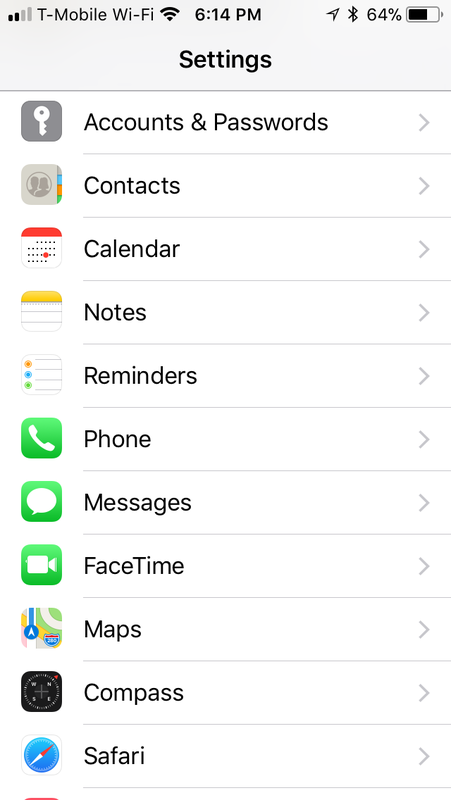 You can do this by opening Safari, tapping the tabs button in the bottom right corner, and tapping Private. To wipe your browsing history, go to Settings > Safari and tap Clear history and website data. Safe browsing: With this feature enabled, Chrome will let you know if the site you’re visiting is known for phishing scams. Do not track: This lets sites know you don’t want to be tracked across the internet. In reality however, sites are free to decide if they want to respect your do not track request. 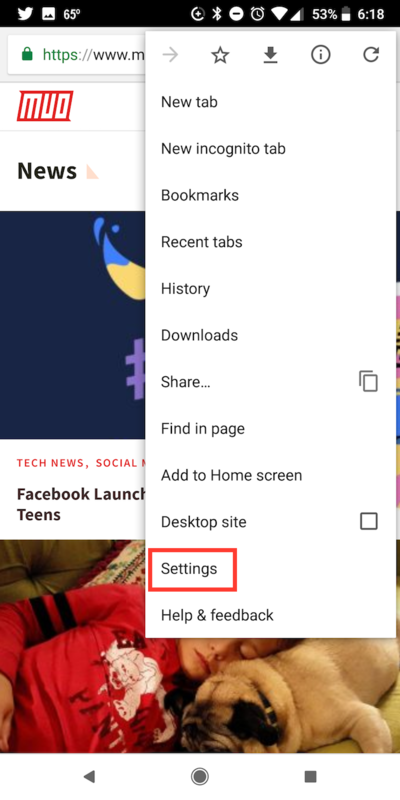 To browse in private mode, you’ll need to open Chrome, tap the menu button (three dots) and tap New incognito tab. 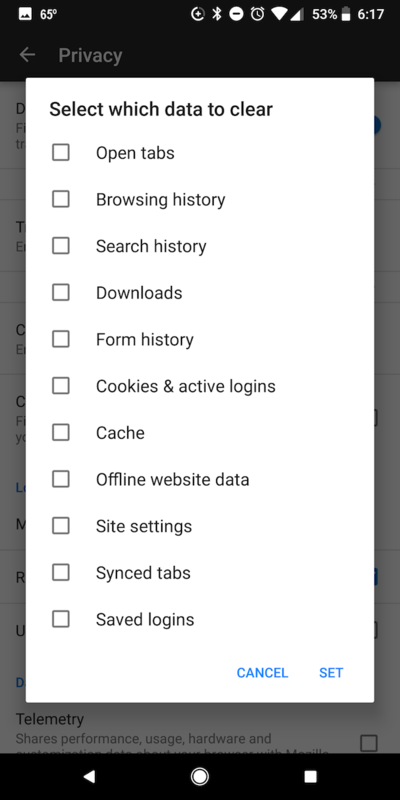 If you want to clear your search history, go to Settings > Privacy > Clear browsing data. You can delete your browsing history; cookies, and site data; and cached images and files. 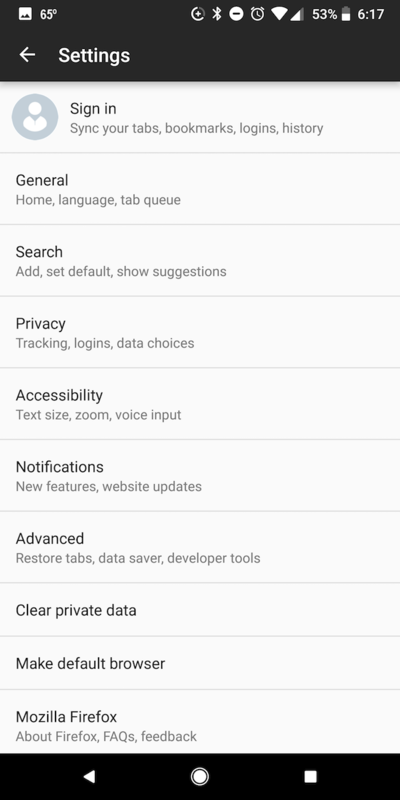 To adjust your privacy settings in Firefox, open the app, and go to the Menu (three dots) and tap Settings > Privacy. 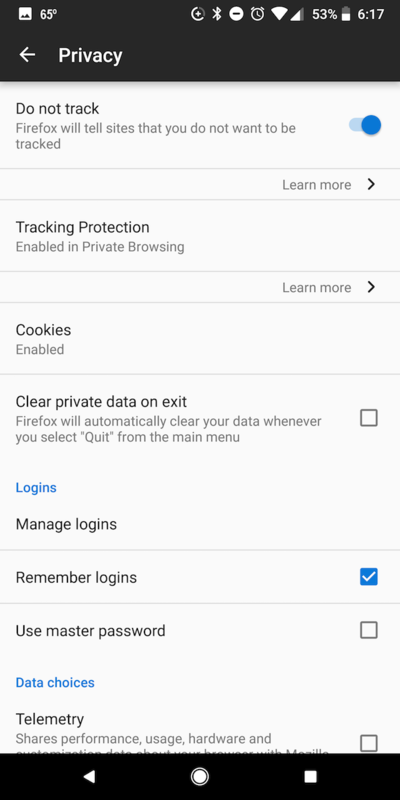 Clear private data on exit: Firefox will automatically clear your data when you quit the app. 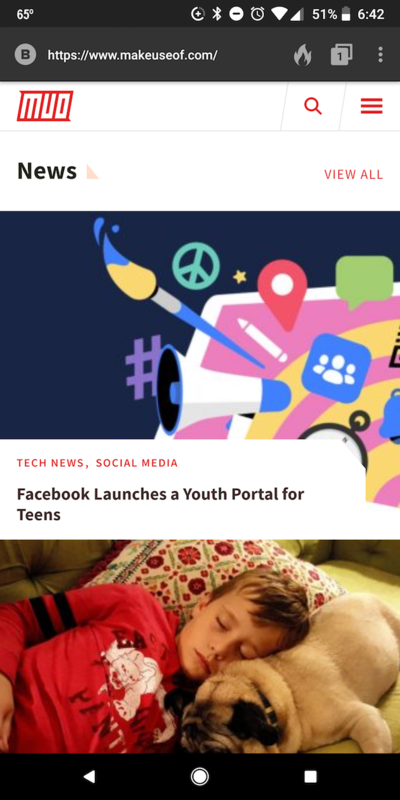 You can selectively choose from a long list of data including open tabs, browsing history, search history, downloads, saved logins and more. Remember logins: If you don’t want Firefox to save your login info, you can turn this feature off. 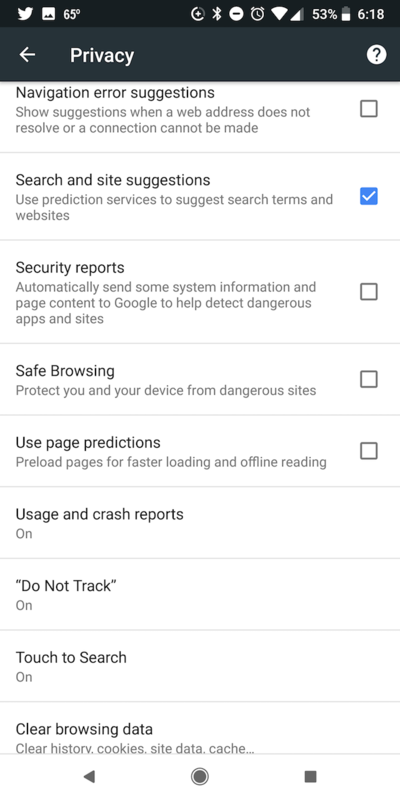 If you want a much simpler approach to a private mobile browsing experience, among the many apps DuckDuckGo offers How DuckDuckGo's New Privacy Apps Keep You Safe Online How DuckDuckGo's New Privacy Apps Keep You Safe Online Privacy-based search engine DuckDuckGo has released new mobile apps and browser extensions. Here's how they can keep you secure online. Read More is a free mobile browser for iOS and Android users. Forces sites to use an encrypted connection where available. It defaults to DuckDuckGo as the search engine. DuckDuckGo doesn’t track any of your search history, unlike popular alternatives like Google DuckDuckGo vs. Google: The Best Search Engine for You DuckDuckGo vs. Google: The Best Search Engine for You DuckDuckGo might be the privacy-focused search engine you've been looking for. But do its features hold up? We look at DuckDuckGo vs. Google to find out. Read More . 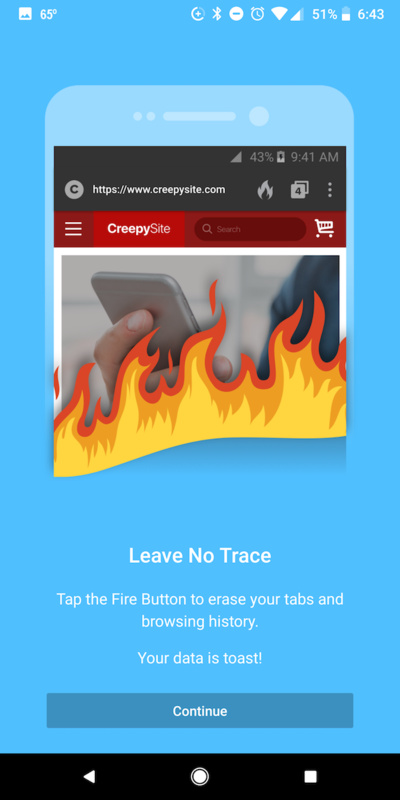 You can clear all your tabs and browsing history with the Fire Button. The browser will also offer a Privacy Grade rating for sites from A to F, letting you know how much a site is trying to track you. If you still haven’t decided which browser to use on the go, take a look at this guide to choosing the best mobile browser for you 5 Simple Ways to Choose the Best Mobile Browser for You 5 Simple Ways to Choose the Best Mobile Browser for You Choosing a browser for your mobile device, whether Android or iOS -- which one do you choose? If your head spins from the variety of mobile browser options, then ask yourself these five questions. Read More . I have used a variety of search engines and I like DuckDuckGo but the only problem is it seems to bring back to recent results and the rest are old. Sometimes years old. Does anyone else experience this? And this article doesn't suit privacy needs. This article does not explain how to truly "browse privately".